Through all eight of his solo albums, Greg Pope creates highly personal songs and story lines that one can immediately identify with. Songs that echo our thoughts and feelings, but in a far more articulate way. I guess that’s the sign of a top-notch songwriter. Whether it’s the biting “How Do You Do It” from 2009’s Pete EP, the catchy but equally acerbic “I Tried To Like You” from 2010’s Blue Ocean Sky or “I Think Not” from his latest LP, Pope seems to have an innate ability to paint vivid, descriptive pictures of common experiences. Through sound and words, he digs a little deeper. As a result, his songs are richer and more engaging than those of most artists. Recorded last spring and summer, the mood is a little more restrained on Guiding Star than on some previous releases, That being said, there’s no shortage of hooks while guitars ring and buzz around catchy melodies. Like almost all of his LPs, there are a few experiments that make this LP an even more engaging effort than previous ones. “Four Leaf Clover” is a super catchy bit of classic power pop and an instant favorite. The melody – and specifically the chorus – of the soothing “Pretend It’s Alright” is absolutely beautiful. Pope gets inside my head with “I Think Not”, a jangly gem that I anticipate will be in constant rotation here for some time. The pulp fiction philosophy of “If You Want Answers” is guaranteed to put a smile on your face and has become an instant classic in an already stellar back catalog. And much like many of his previous efforts, Pope plays all instruments. 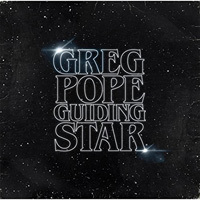 While his latest release is available on iTunes and CD Baby, you can get any of Greg Pope’s releases (including Guiding Star) by ORDERING HERE. Greg Pope and the Popmonsters will be doing a handful of shows in support of the release this Fall in the Southeast. Dates and info at www.gregpope.net. I love all his albums but this one has more variety of style while still delivering the expected goods. 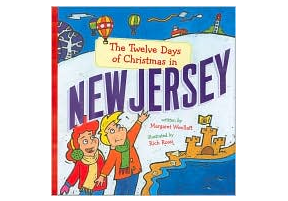 My favorite since Popmonster…bravo!